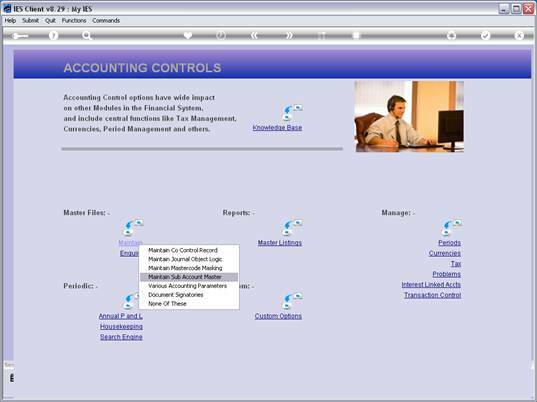 Slide notes: Sub Accounts Master entries for Accounts Payable and Receivable are maintained at the option for this, that we find at the Master Files menu in Accounting Controls. Slide notes: A Sub Account has a Key, a Name and the Values allowed with it. 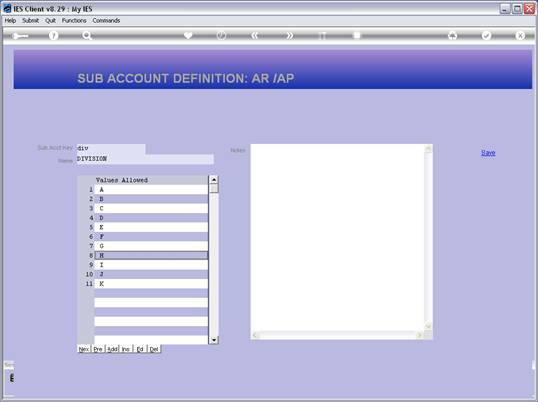 Sub Accounts may be used to analyse the AP / Creditor and A/R Debtor Accounts. Any number of these Sub Accounts may be defined, and any number may be linked to any Debtor or Creditor Account.